LDNY offers a variety of events designed to educate, entertain, and foster an appreciation of the myriad culinary disciplines and experiences available in New York City - and around the globe. Scroll down to see the exciting programs that the New York Dames have recently produced, attended and enjoyed. Click on the photo or Invitation to view the evite in full-size. Parking available at NY Marriott at Brooklyn Bridge, 333 Adams Street. Entrance to school available at 259 Adams Street. 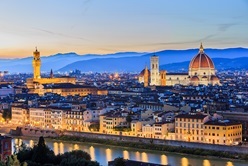 Arranged and hosted by Dame Marisa May-Metalli, Tony May and The Italian Culinary Foundation in collaboration with the celebrated Tuscan “Lorenzo de Medici” school in Florence, Italy. Join us on Monday, February 25, 2019 from 5:30 - 7:30 pm for wines selected by Maria Rust, Owner of Somm Time as well as nibbles and conversation with your fellow Dames at: Somm Time. 959 2nd Avenue at 52nd Street, New York City. $40 per person. Limited to 12 Dames. 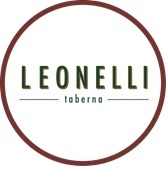 Thank you to the team at Leonelli Taberna for hosting us so generously. Proceeds of this event will benefit Les Dames d’Escoffier NY scholarship fund. You are welcome to stay and have dinner at Leonelli Taberna or Benno, a sister fine-dining restaurant in the hotel. Email Rachael Walensky (rachelwalensky@gmail.com), who will ensure you are well taken care of and help secure your reservations. Join Les Dames d'Escoffier New York at Dame Suzi O'Rourke's Cooking by the Book, for a Hands-On Korean Cooking Class and Buffet Dinner. Shin Kim will give a hands-on introduction to Korean Buddhist Temple Cooking. She’ll explain the tradition of mindful eating and minimizing waste, which makes it a perfect class for the new year. In addition, she’ll teach how to use the foundational sauces of Korean cooking and some of the cuisine’s most popular ways to prepare vegetables. A native of Seoul, Korea, Shin attended the Institute of Culinary Education. She has studied Korean temple cuisine under the Buddhist nun Jeong Kwan at Chunjinam Hermitage. In addition to working at such places as Jean-Georges and Adour by Alain Ducasse and Abigail Kirsch Catering, Shin has taught at the Natural Gourmet Institute. Shin is the author of Vegetarian Dishes from My Korean Home. A buffet dinner with wine will follow the class. Signed cookbooks will be available for sale. Any questions about this event please contact Sharon Franke at 917-806-1779 or sharonfranke@hotmail.com. Korean Cooking Class. January 14. 6:00 to 8:30 pm. Sponsored by Shun Cutlery, maker of fine Japanese knives. Wines courtesy of Dame Ellen Negrin, Cape Classics, Indaba Chenin Blanc and Mosaic Red Blend. REGISTER HERE. Our celebration will feature a menu of passed hot and cold hors d'oeuvres followed by a bountiful three-course dinner served family style paired with wines. This event is being underwritten by Dame Maria Loi, Chef/Owner of Loi Estiatorio, in honor of the restaurant's corporate chef and new member Dame Dara Davenport. In the spirit of giving, Dame Rachel Martin, Oceano Wines owner and VP of Boxwood Winery, is donating her wines for this joyous Holiday gathering. Raffle tickets will be offered at the party. Sunday, December 9, 2018, from 4:00 pm - 7:00 pm at Loi Estiatorio, 132 West 58th Street, NYC. Members $65/Guests $75 (one guest per Member, please). To Culinary Institute of America, Hyde Park, NY. 8 am - 6 pm (departing Grand Central Station to Poughkeepsie). Includes tour, lunch - at CIA Bocuse Restaurant - and lecture: CIA President, Dr. L. Timothy Ryan. $60 members/$70 guests Plus train fare: $43.25 general public/$24.50 seniors. 8:00 am: Grand Central Station, NYC - Meet under the clock, purchase round-trip ticket (NY/Poughkeepsie). 8:30 am: Board train for 8:46 am departure. 10:46 am: Arrive Poughkeepsie. Meet on the river side of the train station that is near the parking garage to board CIA shuttle bus. 11:15 am: All guests (including Dames driving to CIA) to meet at the hospitality office directly across from the bookstore in Roth Hall (the main building). 11:15 am: Tour of school and classes in session. 12:15 pm: Lunch at Bocuse Restaurant. 2:15 pm: Lecture on Paul Bocuse in H. Jerome Berns Boardroom with Dr. L Timothy Ryan, CIA President. 3:30 pm: Board CIA shuttle bus to Poughkeepsie train station. 3:54 pm: Board train to Grand Central Station, NYC. 5:44 pm: Arrive at Grand Central Station, NYC. Questions? Contact Programs Chair Dame Janeen Sarlin at jasarlin@gmail.com, 212-517-8514 or 347-682-7448 For information or directions to CIA: 845-452-9600. LDNY Green Tables Committee invites you to A Hydroponic Farm Tour. LDNY Green Tables Committee invites you to A Hydroponic Farm Tour on October 22nd.Learn all about the science behind hydroponics and vertical farming at Farm.One's unique urban farm, with a tour led by the Farm.One Plant Scientist, followed by Q&A with the Farm.One Food Engineer. Dames Sabrina Sexton and Kathryn Gordon will be serving up tempting Farm.One-inspired hors d'oeuvres and mini desserts, along with mocktails and wine spritzers. Special thanks to Paumanok Vineyards. Follow @farm.one on Instagram. Monday, October 22nd. 6:00 to 8:00 pm. Location: Atera Restaurant on 77 Worth Street, NYC. Members $50/Guests $60. A portion of proceeds will benefit the LDNY Scholarship Fund. The Next Big Bite, What We Will Cook, Eat, Drink and Crave in 2019, in Four One-Act "Bites." Takes place on October 1, 2018 at New York Law School, 185 W Broadway, New York, New York 10013. Join us at Les Dames d'Escoffier New York's 4th annual premier NYC culinary event dedicated to uncovering emerging food trends. The evening features distinguished industry leaders sharing their knowledge during one-on-one interviews covering what's happening now and what's next. 5:30 pm Doors open. 6:00 -7:30 pm Program. 7:30 - 9:00 pm Cocktail Reception at the Rooftop Terrace and Lounge catered by Abigail Kirsch Catering Relationships. For those joining us from out of town, a block of rooms is being held at the Duane Street Hotel. To stay there at our group rate, which is available from September 29 - October 2, click HERE. Master of Ceremonies, Joe Yonan, food and dining editor, The Washington Post, cookbook author and editor of "America The Great Cookbook"
The Sweetest Pastry Teacher Gesine Bullock-Prado, owner of Sugar Glider Kitchen, cookbook author and host of Food Network's "Baked in Vermont"
The Food Talk Show Innovator Chef Carla Hall, author of "Carla Hall's Soul Food," culinary storyteller and host of YouTube's "Daily Chop"
Kitchen Arts & Letters will have presenters' books available for purchase. A percentage of monies raised goes toward LDNY scholarships. Les Dames d'Escoffier New York GALA INDUCTION DINNER for THE NEW MEMBERS of 2019. Les Dames d'Escoffier New York GALA INDUCTION DINNER for THE NEW MEMBERS of 2019. Join us on Monday, September 24th, promptly at 6:00 pm to celebrate our newest members. Location: Eataly NYC Downtown / Westfield World Trade Center / 101 Liberty St #4, NYC. Members $130 / Guests $145. Featuring Sicilian wines from Valle dell'Acate. -$200 Gift Certificate to Vandal, A Tao Group Property. $20 for 2; $40 for 5. Cash only at the event. LDNY's exciting new fundraising initiative SummerDine highlights the best of summer dining and the season's bounty at a select number of New York's finest restaurants on August 6th and 13th. Our partners include several high-profile women chefs/restaurateurs such as Dame Lidia Bastianich of Eataly, Suzanne Cupps of Untitled at the Whitney Museum, Dame Maria Loi of Loi Estiatorio, Dame Surbhi Sahni of Saar Indian Bistro, and Dame Barbara Sibley of La Palapa Cocina Mexicana. Additional top-tier restaurants lined up for this program are Le Coq Rico, The Modern at MOMA, Perrine at The Pierre, and Madison & Vine at the Library Hotel. Special menus with a range of price options are available. Choose from a five-course tequila and antojitos tasting for six at La Palapa, to an exclusive behind-the-scenes tasting tour and three-course menu at Eataly. Specialty wines and gratuities are included in the price. Complete ticketing details can be viewed at Eventbrite. Les Dames d'Escoffier New York Chapter cordially invites you to our Annual Scholarship Awards Ceremony and Gala Networking Reception. Celebrate extraordinary women pursuing careers in the food, fine beverage and hospitality industries, on Monday, July 16, 2018. 6:00 PM - 8:30 PM. NYU Kimmel Center - Rosenthal Pavilion, 10th Floor - 60 Washington Square South, New York.Please bring a photo ID for NYU security. During our gala reception, indulge in an exciting array of fine foods and beverages from our generous sponsors: Babbo, Crepini, La Quercia, Loi Estiatorio, Spicegrove, Tost, and Whole Foods, which will be featuring women-made cheeses, as well as wines from The Winebow Group, and a signature cocktail courtesy of Our/New York, a local small batch vodka distillery. Then celebrate outstanding award-winning women who will be granted LDNY scholarships. * To Pay By Check To Les Dames d'Escoffier NY: Please mail with July 16 in the subject line, and attendee name(s) to: Dame Jennifer O'Flanagan, 110 Livingston Street, 4R, Brooklyn, NY 11201. Proceeds will benefit the LDNY Scholarship Fund. You asked for it: Here it is! MEET AND MIX: CONNECTING DAMES THROUGH NETWORKING. Tuesday, June 19th, 2018. 6:00 to 8:00 pm. Dame Pamela Morgan's apartment (see Member Programs Invitation for details). Members only. $25.00. Limited to 24. Here's what you need to do. Prepare a 30-second pitch: who you are, what you do, what you would like to accomplish or what you're looking for. The point is to meet and mix with a Dame or several Dames you do not know. Committee: Dames Pamela Morgan, Bonnie Tandy Leblang, Rita Jammet and Janeen Sarlin. RSVP: Dame Rita Jammet at ritaj@lacaravelle.com. To pay by check, write payable to Les Dames d'Escoffier New York and mail to: Dame Janeen Sarlin, 110 East End Avenue, Apt. 6B, New York, NY 10028. A portion of the proceeds will benefit the LDNY Scholarship Fund. You are Invited To Name That Dame! A Members Only Salon Series Event to screen the LDNY 40th Anniversary Video and identify people and places from LDNY's past as depicted in the photos. Tuesday, May 22nd, 6:00 to 8:00 pm. WeWork Tower 49 - 12 East 49th Street, 19th Floor - New York, NY 10017. Help LDNY's rich history come to life at this chance to view our chapter's 40th Anniversary Video, produced by Dames Joan Coukos and Sharon Franke in 2016, with an eye to transforming it into a timeless legacy piece with captions, interviews, and other memorabilia. We are counting on our long-time Dames to come and share their memories and stories - we have photos that go back as far as the 70's! Also planned are impromptu on-site interviews. This is a chance for our newer members to be part of an informative and inspirational event where we will learn about our proud history and meet more of our amazing Dames! Wine and light refreshments will be served, including chocolates, courtesy of Chocolat Moderne. Note: Upon arrival, please proceed to the WeWork check in desk and present photo ID. Members Only $25. Friday, May 11th, 5:00 to 7:00 PM. A Dutch Treat at CORKBUZZ. Come join the conversation with Dames Liz Schaible, Janeen Sarlin, and Dame Claire Stewart, author of "As Long As We Both Shall Eat: a history of wedding food and feasts." We'll chat about royal weddings in preparation for the royal wedding taking place on May 18, 2018. The conversation will be accompanied by a champagne tasting and chef's choice of cheese & charcuterie. Limited to 12 attendees. If you haven't read the book, find it at AMAZON or visit Claire Stewart's website HERE. With celebrated Sicilian celebrity Chef and Instructor Peppe Giuffre', this is the first special educational trip and tour of Sicilian food and wine producers arranged by New York Dame Marisa May-Metalli and her father Tony May, former owner of the Rainbow Room and San Domenico NY for members of Les Dames d'Escoffier to an eight-day trip including five morning cooking classes with daily excursions. Five mornings we will participate in cooking classes and have lunch. Each afternoon we will visit the surrounding Sicilian villages and towns, going to local markets and tasting Artisan cheeses, pasta, breads, olive oil, and wines. Each evening we will dine at a unique restaurant in and around Palermo. One day we will board a traditional fishing boat off the coast of Sicily and feast on a meal cooked by the fisherman. You don't need to have professional knife skills; you only need to know how to hold a knife! Bring a chef knife and a paring knife encased in a plastic knife-guard (inside your checked luggage) plus an apron and comfortable walking shoes for touring and working in the kitchen. Dame Marisa May-Metalli and Tony May (with May-Mei Italian Culinary Academy) will donate a May-Mei Italian Culinary Academy Scholarship to the Les Dames d'Escoffier New York scholarship program for an aspiring American female chef to study in Italy in 2019. Les Dames d'Escoffier New York Invites You To A Scholarship Fundraiser Reception & Dinner. Monday, April 9th, 6 - 8:30 PM. LDNY has been awarding scholarships to outstanding women studying in the culinary, fine beverage, and hospitality fields for more than 40 years. Celebrate and support this program by enjoying a three-course dinner prepared by NY City College of Technology students. Tours of the teaching kitchens will be given during the reception. Dame Liz Schaible, a scholarship winner and an instructor at "City Tech" will tell her story, and how the scholarship changed her life. Seating is limited to 32 with 100% of the program's proceeds benefitting our LDNY Scholarship Fund. Price: $85 members, $95 non-members. Or, mail a check made payable to Les Dames d'Escoffier New York and send to: Dame Elizabeth Schaible / 333 East 30th Street, 14A / New York, NY 10016. Program location: New York City College of Technology CUNY / Janet Lefler Dining Room, Namm Building, 2nd Floor / 300 Jay Street, Brooklyn, NY 11021. Subway Stops: Jay St/Borough Hall, Court St, and Jay St/Metro Tech. Parking available at NY Marriott at Brooklyn Bridge, 333 Adams Street (entrance to school available at 259 Adams Street). Les Dames d'Escoffier New York Invites You to Join Us For A Georgian Supra! A Culinary Journey in the Caucasus. Immerse yourself in the vibrant food and culture of Georgia at this afternoon supra (leisurely-paced luncheon feast) featuring award-winning author, photographer, and food, wine, and travel writer Carla Capalbo. Oda House Chef/owner Maia Acquavivia will serve a traditional multi-course family-style meal accompanied by white, rosé, and red Georgian wines. PLUS - Carla's book will be available for purchase ($40.00, cash or check). Members $50 / Non-Members $60. March 23rd. Noon to 2:30 pm. Oda House Restaurant.76 Avenue B (5th Street). From Tragedy to Triumph: How Small Changes in Food Choices Can Make Big Differences in Your Health. An Evening with Dame Stefanie Sacks, MS, CNS, CDN Culinary Nutritionist, Author and Founder of Reboot Food™. Monday, March 12, 2018. From Tragedy to Triumph: How Small Changes in Food Choices Can Make Big Differences in Your Health. An Evening with Dame Stefanie Sacks, MS, CNS, CDN Culinary Nutritionist, Author and Founder of Reboot Food™. 6:00 to 8:00 PM. Noshes that nourish - Stefanie style - will be served along with organic wines from Long Island's North Fork. Signed copies of Stefanie's book, What the Fork Are You Eating, will be available for purchase. Dame Janeen Sarlin's home: 110 East End Avenue, #6B / New York, NY 10028. Members $30 / Non-Members $40. Dame Stefanie Sacks is a chef with an MS in Nutrition Education from Teachers College, Columbia University. For over two decades Stefanie has helped transform the way people eat by using hands-on culinary experiences to inspire, educate and offer practical tools for food lifestyle changes. Why and how she turned to everything edible to navigate her own illness, both physical and psycho-emotional, is compelling. Understanding her journey will help to shine a light on the inspirational and transformational work that Stefanie is deeply devoted to. It is truly a tale of tragedy to triumph. Food and our connection to it, for better or worse, directly relates to her story. Les Dames d'Escoffier New York Presents: Dutch Treat! LDEI / LDNY "Meet-Up-In-Manhattan" Reception at La Palapa Cocina Mexicana. LDEI Dames registered to attend this year's IACP 2018 in Manhattan, February 23rd - 25th, are invited by the New York Chapter of Les Dames d'Escoffier (LDNY) to be our guests at a LDEI/LDNY "Meet-Up-In-Manhattan" Reception. we'll celebrate National Margarita Day in a festive way, with a fabulous cocktail - La Dama Margarita with Tequila Milagro and Wild Hibiscus flowers - plus plenty of authentic Antojitos Mexicanos (Mexican street food). Thursday, February 22nd. 5:00 - 6:30 pm. La Palapa Cocina Mexicana. 77 St. Mark's Place, NYC. La Palapa Cocina Mexicana is a popular restaurant in Manhattan's trendy East Village owned by renowned New York Chef Dame Barbara Sibley. The restaurant has been awarded the "Distintivo" by Sabores Autenticos De Mexico Foundation, which promotes authentic Mexican products. January 27, 2018. 10:00 am to 1:15 pm. Location: Meet at the street level of Jing Fong 20 Elizabeth Street (between Canal and Bayard Streets). Chinatown NYC. If you arrive after 10 am, meet the group on the 2nd floor, up the escalator. Please notify Liz of any food allergies when you arrive. Nearest subways: Q, N, R, J, M, Z and 4 and 6 Trains to Canal Street, D train to Grand Street. $65 Members / $75 Non-Members. Hosts: Dames Liz Young and Sharon Franke. Questions: Dame Sharon Franke, 917-806-1779 or sharonilenefranke@gmail.com. Day of event, text Dame Liz Young at 646-286-8065. Les Dames d'Escoffier NY Presents NEW YEAR! NEW CAREER! Making Your Move in Food, Wine and Hospitality. A panel discussion, with wine and hors d'oeuvres served. Wednesday, January 17, 2018. 6:00 - 8:30 pm. Location: International Culinary Center (ICC) - 462 Broadway - NYC 10013. $35 Members / $45 Non-Members. To pay by check, note # of member/non-member tickets being ordered, along with guest names. Make check payable to Les Dames d'Escoffier New York and send to Dame Janeen Sarlin, 110 East End Avenue, NY 10028. Dame Joan Coukos Todd - Former Investment banker, now award-winning Chocolatier and Owner of Chocolat Moderne. Dame Julie Hartigan - Engineer turned cooking, health and entertaining consultant. Currently professional chef and recipe developer. Dame Rita Jammet - Former restaurateur, now a principal of Bouquet Ventures Hospitality Consulting. Owner of La Caravelle Champagne and Wine. Dame Melanie Young - PR Executive turned radio show host and award-winning author. Certified health coach and motivational muse. If you wish to submit questions for the panel, contact Dame Janeen Sarlin, at jasarlin@gmail.com. Les Dames d'Escoffier NY Annual Holiday Party 6:00 - 9:00 pm. Location: Jenn-Air Showroom, D&D Building 59th Street Entrance. 222 East 59 Street, 5th Floor (between 2nd and 3rd Avenues), New York City. Please Note: As you approach from Third Avenue, go past the parking garage to the entrance in the middle of the block. There is a small marquee and two columns. The address is not marked on the building, but it shows D&D Building on the marquee and a lighted sign to the right indicates Jenn-Air. RSVP by Monday, November 27th. Guests are welcome! Cost of Event: Members $35; Guests $45. The 2017 Annual Meeting of Les Dames d'Escoffier New York Location: The Fales Library & Special Collections, NYU Bobst Library. 70 Washington Square South NYC. Members Only / Cost: Free. Our thanks to Marvin Taylor and The Fales Library for generously hosting this event. Please fill out and return the attendance/proxy form (link to form is below) no later than November 1st via e-mail or by regular mail (postmarked by October 25th) to Dame Ronnie Campbell, e-mail: lesdamesny@gmail.com. Mailing Address: Ronnie Campbell, The Burrell Group, Ltd. 195 - 33 Hillside, Avenue, Hollis, NY 11423. Questions? E-mail Chair Beth Allen at bethallen@icloud.com. We encourage all members to attend this very important Les Dames New York annual event. The Next Big Bite: How We Will Eat and Drink Sponsored by Les Dames d'Escoffier New York (LDNY - www.ldny.org), the preeminent professional women's culinary organization, the third annual The Next Big Bite will take place at the Institute of Culinary Education (ICE) in New York City. This year's event will feature an engaging and provocative discussion about How We Will Eat & Drink-In the World; At Home; On TV and in Social Media; In New York; At the Restaurant; In Business; and With Sustainability. Dana Cowin: DBC creative and host of Heritage Radio Network Podcast Series, Speaking Broadly. Melissa Clark: Food writer, cookbook author, and staff reporter for the New York Times Food section, where she writes the popular column "A Good Appetite" and appears in a weekly cooking video series. Kerry Heffernan: An avid outdoorsman and seafood expert, Kerry is the Executive Chef at Grand Banks, a seasonal Oyster Bar and galley on the deck of a historic cod fishing schooner moored at Pier 25 New York. Padma Lakshmi: Actress, food expert, model, and award-winning author. Host, judge and an executive producer on Bravo's Emmy award-winning Top Chef. Recipient of the 2016 NECO Ellis Island Medal of Honor. Pascaline Lepeltier: MS, Instructor, Court of Master Sommeliers at the International Culinary Center, Master Sommelier, and author. Missy Robbins: Head chef and owner of Lilia restaurant in Williamsburg, Brooklyn. Also known for maintaining Michelin star status the entirety of her tenure as Executive Chef of A Voce Madison and A Voce Columbus. A Top Chef Masters contestant. Susan Ungaro: President, James Beard Foundation, the country's preeminent culinary organization. Les Dames d'Escoffier New York New Member Induction Gala Dinner Join LDNY for a gala dinner to induct its new members at Little Park, NYC, a seasonal restaurant highlighting the best ingredients from local farmers, anglers, vintners, ranchers and foragers. Our festive meal will be paired with sparkling wines from Franciacorta and dessert with Armagnac. Three fabulous items will be raffled off: Mauviel Copper and Stainless Steel Saute Pan, Le Creuset 5-1/2 quart Dutch Oven in the new oyster color and a KitchenAid Pro Line Series Blend. Monday, September 25th, 6:00 - 9:00 PM. Little Park restaurant, 85 West Broadway, Smyth Hotel, Tribeca 10007. Cost of Event: Member $130; Guest $145. Les Dames d'Escoffier New York Scholarship Cocktail Reception 2017 Les Dames d'Escoffier New York Cordially invites you to celebrate extraordinary women pursuing careers in the food, wine and hospitality industry. Opening Remarks by Dame Marion Nestle, Ph.D, M.P.H., Paulette Goddard Professor of Nutrition, Food Studies, and Public Health at New York University. Catered by NYU, with generous food and wine donations courtesy of Winebow, Bruxo Mezcal, Dirt Candy, Loi Estiatorio, Sahib and Bittersweet NYC. Be sure to purchase tickets online for 15 extraordinary raffle items. Sales to benefit 2018 scholarship recipients. Wednesday, July 26th, 2017, from 6:00 PM - 8:30 PM. NYU Kimmel Center - Rosenthal Pavilion, 10th Floor. 60 Washington Square South, New York City. LDNY Members: $55 / Guests: $65. Award Recipient, free / Award Recipient Guests $25. Dinner at Sahib - A Tour Of Regional Indian Cooking Dine with fellow Dames at Sahib restaurant, owned by Chef Hemant Mathur, husband of Dame Surbhi Sahni. Sahib was recently awarded 2 stars by Pete Wells in The New York Times for its masterful presentation of dishes not often found in other Indian restaurants. Among the dishes we'll be served are kori gassi, an "irresistible" chicken in coconut milk stew seasoned with coriander, asafetida and curry leaves, and cauliflower coated in red chili sauce. The meal will be paired with wines from Sandhi, a small production winery focusing on select vineyards from the Sta. Rita Hills in Santa Barbara County. Nat Gurner, a representative of the winery will be present to discuss the pairings. Dessert will be provided by Surbhi's sweets company Bittersweet NYC. Hosts: Dames Surbhi Sahni and Sharon Franke. Tuesday, June 13th, 6:00 - 8:00 PM. Sahib restaurant. 104 Lexington Avenue, NYC 10016. Nearest subways: R, W, and 6 Trains to 28th Street. Early Dame Pricing - $60 (after June 1 - $65); Guests - $70. For The Love Of Chocolate with Dames Joan Coukos and Kathryn Gordon Learn about this delicious subject in a hands-on Chocolate Making Class with Dame Joan Coukos, chocolatier/owner of Chocolat Moderne, and Dame Kathryn Gordon, Chef-Instructor at ICE. Mold and fill your own chocolate bars. Observe the technique of making ganache with unique chocolates courtesy of Valrhona, and learn fool-proof methods of tempering chocolate. Enjoy hors d'oeuvres provided by Chef Jesse Riley of Constant Cravings Foods, and cacao-based cocktails by Solbeso, the world's first spirit made from fresh cacao fruit juice, and chocolate bonbons. May 17th, 6 - 9 PM at Chocolat Moderne, 27 West 20th Street, Suite 904, New York, NY 10011, located between 5th and 6th Avenues. Early Dame Price - $60 (available to LDNY members until 5/1). LDNY Members Price - $70 (available from 5/2) / Non-Members Price - $75. Sponsor acknowledgements: Valrhona, Constant Cravings Foods, Solbeso and Chocolat Moderne. BONUS! Guests take home three different bars made during the class, a handout with recipes, tempering instruction, and resource guide for ingredients and supplies. There will also be some sponsor goodies and a raffle, with proceeds benefiting LDNY's Scholarship Fund. Art of Sourdough Bread-Baking with Dame Suzi O'Rourke & Priscilla Martel Come ready to put on an apron and roll up your sleeves as Dame Suzi O'Rourke and Priscilla Martel-bread-baking experts extraordinaire-teach us how to make crusty sourdough bread from nurturing and using your own starter to shaping boules and baguettes. Wine, cheese, and charcuterie will be served along with Suzi's focaccia. You'll leave with enough starter to begin baking in your own kitchen, dough to bake off at home, and a goodie bag of bread-baking essentials, courtesy of Emile Henry and King Arthur Flour. Thursday, April 20th, from 6 - 8 PM at Cooking by the Book, 13 Worth Street, NYC. Subway stops: 1 train to Franklin St; A,C,E to Canal St. Program Chairs: Dames Sharon Franke and Suzi O'Rourke. Instructors: Dame Suzi O'Rourke, Owner of Cooking by the Book / Priscilla Martel, coauthor of "On Baking: A Textbook of Baking and Pastry Fundamentals"
Celebrate 40 Years of LDNY Scholarships. A Reception & Dinner at New York City College of Technology LDNY has been awarding scholarships to outstanding women studying in the culinary, beverage and hospitality fields for 40 years. Celebrate and support this program with current and former scholarship recipients including television personality and cookbook author Dame Sara Moulton, one of the first. Meet and hear the stories of some of the many women LDNY has supported and helped at the start of their careers while enjoying a three course dinner prepared by NY City College of Technology current students. Tours of the teaching kitchens will be given during the reception. Monday, April 3rd 6:00 PM - 8:30 PM at New York City College of Technology CUNY. Janet Lefler Dining Room, Namm Building, 2nd Floor. 300 Jay Street, Brooklyn, NY 11021Seating is limited to 25. 100% of the proceeds of this program will benefit LDNY Scholarships. Wines courtesy of Adrian Goodlad, Martin Scott Wines. Producer Jorge Ordonez Selections.. Salon with Dame Marion Nestle Just returned from the 2017 World Economic Forum at Davos, Dame Marion Nestle, the Paulette Goddard Professor in the Department of Nutrition and Food Studies at NYU, will be interviewed by Dame Linda Pelaccio--Culinary Historian and Radio/Podcast Host of "A Taste of the Past"--about her life and career: writing 6 award-winning nutrition books, 2 pet books, editing 1988 Surgeon General's Report on Nutrition and Health, and living in the former apartment of Mayor Ed Koch. Wine and cheese to be served. Monday, March 13th at New York University, Department of Nutrition and Food Studies, 411 Lafayette, 5th floor. OKONOMIYAKI (oh-ko-no-me-ya-ki) Japanese pancake demo and class with Dame Hiroko Shimbo Join Dame Hiroko Shimbo for a demo and the experience of making your own Okonomiyaki, one of Japan's most beloved comfort foods--a pancake layered with savory, delicious ingredients. We promise a fun, challenging, warming winter's night with supper and special shochu (Japanese distilled spirit) tasting, with Jesse Falowitz, co-founder of Mizu Shochu. February 1st, 6:15 - 8:30 pm at International Culinary Center (ICC), 462 Broadway, 4th flr (@ Grand St.), NYC 10013. 132 West 58th St., NYC. With special thanks to Chef Maria Loi. 75% of the proceeds will go towards the scholarship fund. Come celebrate the publication of Dorie's Cookies by Dorie Greenspan with wine, cheese, charcuterie and Dorie's very special cookies. Special thanks to Sur La Table, Deutsch Family Wine & Spirits, Les Trois Cochons and President Cheese. Member Ticket is $40, Guest Ticket(s) $50. Payment by credit card only. THE NEXT BIG BITE: The Media's Influence on What We Eat, Drink & Crave 5:30 Reception, 6:45 - 8:30 Panel Discussion. Les Dames d'Escoffier New York Chapter New Member Induction Dinner Les Dames d'Escoffier New York GALA DINNER: New Member Induction and LDNY 40th Anniversary Celebration. d'Escoffier New York at a GALA DINNER to induct our new members of 2017 and celebrate LDNY's 40th anniversary. Festive attire is suggested. Member tickets are $130 (guest tickets are $140), payable by credit card (via brownpapertickets.com) or check. Do come ready to purchase raffle tickets (Cash only: $20 for 2; $40 for 5) to win an original signed and framed Jacques Pepin painting. LDNY is grateful to Abigail Kirsch, Chocolat Moderne, D'Artagnan, Jacques Pepin and Wines of Chile for their generosity in supporting this important occasion. Monday, September 26th, to begin promptly at 6:00 pm. Location: Rotisserie Georgette, 14 East 60th Street, New York City. RSVP with menu choice by September 12th. NY Summer Fancy Food Show: Wine, Nibbles & Networking The New York Summer Fancy Food Show will bring Dames from around the country to New York. We will again welcome them to a cozy reception at the headquarters of the Stoli Vodka Group, thanks to Dame Lori Tieszen. It will be on Monday, June 27th. STOLI GROUP USA. 135 East 57th St (at Lexington). 6:30 - 8:00 PM. Join our gracious host, Dame Elizabeth Karmel, up on the rooftop of her West 23rd Street apartment building for a barbeque dinner that will include a Jim Beam small batch bourbon pairing on Wednesday, May 18th. Dame Lidia Bastianich is hosting us for an extraordinary three-course luncheon at her flagship townhouse. Limited to 50 LDNY members & guests. Hungarian Culinary Rhapsody at the Consulate Save the date of Thursday, March 31 for a buffet dinner with prized Hungarian wines at the impressive Hungarian Consulate, 223 East 52nd Street, NYC, 6:00pm to 8:30pm. The Ambassador Consul General to Hungary in New York and the Director of the Hungarian Tourist Office in New York are graciously hosting us! Guest of honor is the Hungarian Ambassador to the UN. Exclusive for LDNY & LDEI members. Price: $40. For more information, contact Dame Joan Brower or Dame Joan Bloom. All About Armagnac: Tastings & Pairings Step into the magical world of Gascony! Join NY Armagnac's Ambassador, Dame May Matta-Aliah, for a welcome cocktail, an educational presentation about Armagnac and a virtual tour through France's home of this oldest spirit. Enjoy tastings of five Armagnacs and pairings of savory nibbles from D'Artagnan and Roni-Sue's Chocolates. Event is being held at Cooking by the Book on Thursday evening, February 25. Welcome in 2016 with a Caviar + Vodka Tasting Celebrate with other Dames, and their guests, at the offices of Stoli Group USA. Enjoy a vodka tasting of Stoli and elit by Stolichnaya - plus caviar from Tsar Nicoulai and a sampling of tasty hors d'oeuvres. It's the perfect way to start off the New Year! Jacques Pepin's 80th Birthday Celebration Conversation with Jacque on the publication of Heart and Soul in the Kitchen, and his new PBS series in the Test Kitchens of the Good Housekeeping Institute. THE NEXT BIG BITE A Panel Discussion of What Americans Will Cook, Eat and Crave in 2016-being hosted by Les Dames d'Escoffier New York. This panel of culinary experts will explore the ever-changing food landscape, the vital role that food plays in the lives of consumers and a glimpse of what to expect in the coming year. Moderated by Dame Rozanne Gold, four-time James Beard Award-winning author, chef and journalist, The Next Big Bite will include panelists: Amanda Cohen, chef/owner, Dirt Candy; Amanda Hesser, co-founder/CEO, Food52; Marion Nestle, Professor of Nutrition, Food Studies and Public Health at New York University; and Mimi Sheraton, pioneering food journalist and restaurant critic. This first annual event is being held on October 26th from 6:30 PM to 8:30 PM at the newly located Institute of Culinary Education (ICE), 225 Liberty Street at Brookfield Place in New York City. Induction Dinner for the New Members of 2016 Meet and congratulate the 2016 new members... dine the authentic French way at restaurant Lafayette in NoHo. The Scholarship Reception 2015 Honor the future of the women entering the food, wine and hospitality industry. Celebrate with the 2015 scholarship winners at our annual reception at the International Culinary Center. LDNY Welcomes Dames attending the Summer Fancy Food Show! Join us at Dame Laura Maniec's Corkbuzz Winebar for wine, nibble and networking with Dames across the country. Sunday Supper In Harlem Get ready to dine Southern-style with fellow Dames at Blvd Bistro - one of Harlem's hottest new restaurants. Insiders Tour Of Jackson Heights, Queens Join Dame Surbhi Sahni, Owner & Executive Pastry Chef of BITTERSWEET NYC for a walking tour of her vibrant neighborhood, Jackson Heights, Queens. The Cuban Table A traditional Cuban dinner, filled with flavor, culture and memories from Havana, Miami and New York - with Author Ana Sofía Peláez of The Cuban Table and photographer Ellen Silverman. Sunday Supper at SD 26 A special invitation from Dame Marisa May-Metalli ...come raise a glass, twirl some spaghetti and bid Tony May and Marisa all the best, as SD 26 closes. Salon Event with Dame Ariane Daguin State of the Union of Food - Insight of the Farm to Table movement from 1985 to 2015 - in conversation with Dame Ariane Daguin, founder of D'Artagnan, in her home, as interviewed by Dame Patricia McCann. For Members Only. Welcome the New Year in Rockefeller Center at Morrells Wine Bar Join Dame Roberta Morrell for wine and hors d'oeuvres, overlooking the tree and celebrating with fellow Dames. Understanding Food Mood Connections Discover how Italian Mediterranean food lifestyles can contribute to better health. Italian wine reception follows. From The Teapot To Table: A Passion For Fine Tea Discover the many delicious uses of tea - from teapot to cooking at Harney at this Members Only event at Harney & Sons. Rockin' Ramen Event Learn about (and sample!) the diverse, delicious, wide world of ramen- from its history to its ingredients, noodles, broths and many flavors. LDNY Scholarship Reception Honor the future as we celebrate scholarship winners of 2014 at The Studio at the International Culinary Center. A Culinary and Cultural Experience in Katonah, NY Indulge yourself... Join us on a tour of Katonah _ the art museum and the Rosen House at Caramoor, followed by formal tea in the Summer Dining room. A California Extra Virgin Olive Oil Tasting With Hors d'oeuvres & Wine Join us for a California olive oil tasting, guided by experts, complete with a delicious buffet with items featuring the oils. Women Winemakers of Greece, Grand Tasting and Reception Enjoy the new dimensions brought to the Greek wine industry by leading women winemakers in Greece. A Grand Tasting of Greek wines, plus a Mediterranean menu to compliment. Kick-Off Reception for "Edible London" Classic British pub fare and cocktails are on the menu at The Churchill Tavern. Come celebrate the kick-off of the LDEI London Chapter's Edible London weekend. A Sunday Lebanese Brunch Experience a fabulous Lebanese brunch, the authentic way, complete with flavors of the Lebanese culture. An Evening with Darina Allen - Chef, Award-Winning Cookbook Author, TV Show Host Toast St. Patrick's Day with Darina Allen over a festive Irish dinner inspired by Darina Allen of the Ballymaloe House. An Evening In Chile Feast on savory Chilean delicacies while learning about the sensuous wines from Chile at Puro Chile, in the heart of Little Italy. Le Perigord: 50 Years Celebrate the 50th Anniversary of Le Perigord, the classic French restaurant, over a luncheon prepared in the authentic French way and paired with wonderful wines from The House of Burgundy. Like Wine for Chocolate at the Ritz-Carlton Join other Dames at the Ritz for an evening of Wine and Chocolate Flight pairings. Post Holiday Cocktails, presented by Dame Roberta Morrell. Toast the new year of 2014 in Rockefeller Center near the famous tree, over festive hors d'oeuvres and fabulous wines with your fellow Dames. BUON NATALE! Pay homage to a cherished Italian-American holiday tradition - the Feast of the Seven Fishes. Join us at BECCO to celebrate the new year. Dia de los Muertos Celebration (The Day of the Dead) Celebrate the Day of the Dead in authentic Mexican style with Dame Barbara Sibley at her restaurant, La Palapa Cocina Mexican. and Enjoy antojitos (small plates), great tequila and sangria, while learning about the traditions of this day. Members only. Broad Appeal Raise a glass and funds in honor of Breast Cancer Awareness and LDNY Scholarship Program. Ladies of LUPEC-NYC join us at Grace Gaelic Hospitality for a festive evening of hors d'oeuvres crafted by NYC's Leading female mixologists. FARM TO TABLE TOUR: ROAD TRIP TO SCHOHARIE COUNTY A day that redefine fresh! An exclusive experience visiting the farms and local producers of Schoharie County, New York. Ends with a farm tour and dinner at SUNY Cobleskill Campus, featuring the campus-raised beef and brown trout. New Members' Celebration and Ceremony Join other NYC Dames at the famed Cosmopolitan Club for drinks, hos d'oeuvres. After the formal New member ceremony, meet and greet the New Members of 2013. Member only. Women and Wellness: Fabulous at any Age Learn tips on taking charge of your healthy, nutrition and overall well-being at any age -- shared by a panel of experts. A book signing and reception of healthy hors d'oeuvres and complimentary wines will follow the panel discussion. Charter Member Luncheon Center Twelve Dames, all connected to the past and present of LDNY and LDEI, gathered in the garden of Laura Maioglio's Barbetta to share the history and stories of our Chapter's founding. A memorable event, arranged by Dame Carol Brock, our founder. By invitation only. AN EVENING OF ARTISANAL LATIN AMERICAN COOKING Join chef/author Dame Maricel Presilla at Cucharamama Restaurant in Hoboken for Gran Cocina Latina: Artisanal Latin American Cooking... plus a book signing, wines and a signature cocktail. Proceeds benefit the LDNY Scholarship program. Fasika: Easter in Ethiopia. LDEI & LDNY at their best! Celebrate spring and the dream-come-true of Kubee Kassaye, a 2012 LDEI Legacy Award winner. Share her success story -- from a small village in Ethiopia to chef at a five-star hotel in NYC. Enjoy a traditional Ethiopian lunch at Cooking by the Book. An Evening with Clodagh McKenna at 230 Fifth LDNY, the Irish Dairy Board and celebrity chef/TV personality Clodagh McKenna invite you to toast St. Patrick's Day with a festive spring menu featuring dishes from Clodagh's newest cookbook, Clodagh's Kitchen Diaries. An Evening with Grande Dame Nathalie Dupree. Join us for a Southern standing dinner and cooking demonstration, in celebration of the release of Grande Dame Dupree's masterwork, "Mastering the Art of Southern Cooking". Members only; seating is very limited! Twitter Therapy II with Dame Cynthia Sin-Yi Chen Open to active Twitter users only! Dame Cynthia Sin-Yi Cheng, founder of Twitter Therapy is hosting a more advanced Twitter session for Dames eager to spice things up, strengthen their Twitter "voice" and tap into the Twitterverse for marketing and networking opportunities. Come celebrate the New Year at LDNY's traditional gathering at Morrell's Wine Bar & Cafe in Rockefeller Plaza, across from the festive tree. Graciously hosted by Dame Roberta Morrell. LDNY's Global Culinary Series: An Evening in Burma with Author Naomi Duguid LDNY's Global Culinary Series. Join us for an Evening in Burma with Author Naomi Duguid, at Cooking by the Book Naomi will share intriguing tales of her travels in Burma in this remote Southeast Asian country. A traditional dinner will follow, featuring selected recipes from new book-Burma: Rivers of Flavor (Artisan).